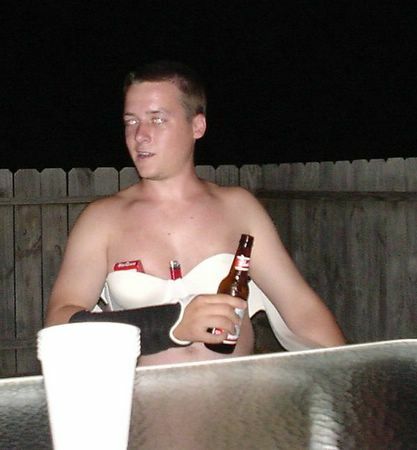 later in the night... eric shows some new attire... bra set comes w/ budweiser (half drunk), shingaurd (seen here as forearm gaurd), cigarettes, and lighter. oh and THE MAN. i think at one point he may have been in the front yard w/ this on...before emily yelled at him about the neighbors seeing..